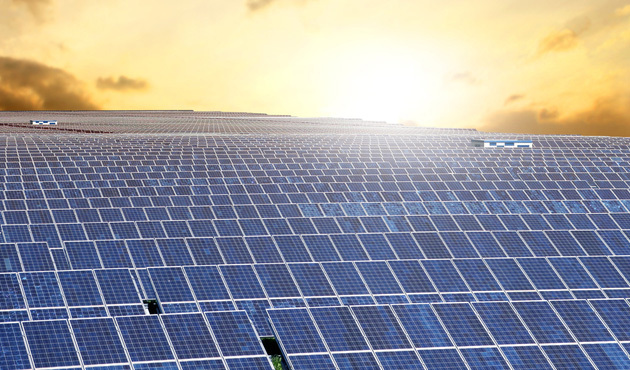 Solar Panels (PV cells) are made from layers of semi-conducting material. When light shines on the cell it creates an electric field across the layers. The stronger the sunshine, the more electricity is produced. Groups of cells are mounted together in panels or modules that can be mounted on the roof of your home. The power of a PV cell is measured in kilowatts peak (kWp). That’s the rate at which it generates energy at peak performance in full direct sunlight during the summer. Most PV systems are made up of panels that fit on top of an existing roof, but you can also fit solar tiles. The generation meter will record all electricity produced by the solar PV panels. If you use any electrical appliance in your house, you will use the electricity you have generated first. If you require more electricity than this you will import the rest from the main electricity supply. If you do not use the electricity you have generated then you will be paid for the electricity that is sent back to the grid.